The JLPP (Japanese Literature Publishing Project) invites all to participate in the 4th JLPP Translation Competition. 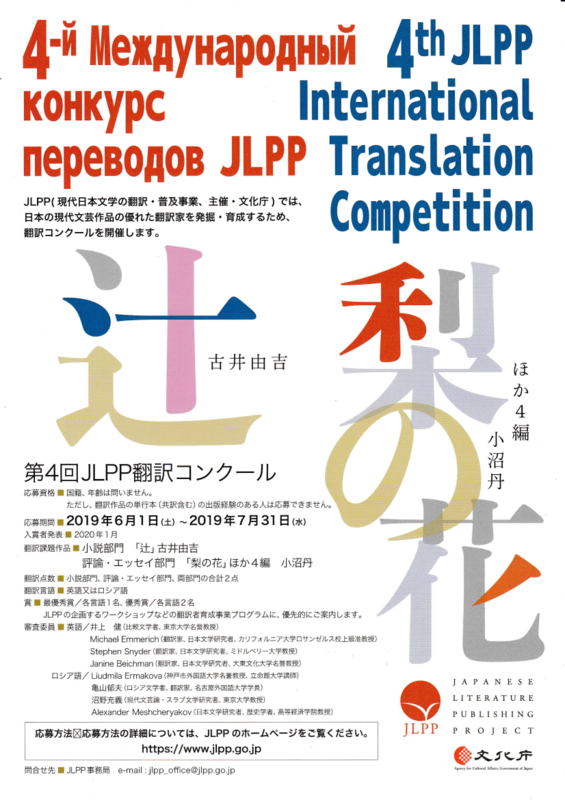 The JLPP International Translation Competition aims to foster emerging translators of Japanese and promote Japanese literature around the world by encouraging the translation of superb literary works from Japan. There are no nationality or age-related eligibility criteria. However, because the purpose of the competition is to foster emerging translators, those who have published book-length translations (including co-translations) are not eligible, although translations published in magazines and/or anthologies are permissible. Application period: June 1st – July 31, 2019. For more information about the contest click here.